Pima County Department of Environmental Quality (PDEQ) began the private well monitoring program near the Tucson International Airport Area (TIAA) Superfund Site in 1994 at the request of the U.S. Environmental Protection Agency (U.S. EPA). The request was prompted by the Agency for Toxic Substances and Disease Registry to have private well-water quality data for public health assessment. Initially, 14 wells were sampled. Currently, six private wells are operational and are sampled for trichloroethylene (TCE), chromium and 1,4-dioxane. Every February, PDEQ collects water samples from private wells that might be impacted by the TCE plume or the 1,4-dioxane plume. These plumes are part of the TIAA Superfund Site. They are the remnants of groundwater contamination occurring in the 1950s, 1960s and 1970s. Contaminants were first discovered in 1981 when a new lab method enabled the detection of contaminants at low levels. Wells with known contamination were shut down, or equipped with aeration systems to remove TCE. Remediation began in 1987 and is on-going at the southern and northern ends of the main plume. Several agencies monitor the groundwater to show the plume locations and to track the remediation progress. Irvington Library is the information repository for past and on-going projects. The collection is large, so asking a librarian for assistance will be helpful. Results of PDEQ’s annual sampling are provided to the well owners, local elected officials, the Arizona Department of Environmental Quality, the U.S. EPA, TIAA and the Unified Community Advisory Board (UCAB). The results are compared to drinking water standards and health-based guidance levels. A review of the analytical results from the 2016 private well monitoring event showed all wells met the Primary Drinking Water Standards for TCE and Total Chromium. Four wells have 1,4-dioxane concentrations within EPA's target risk range of 1 in 1,000,000 to 1 in 10,000 (10-6 to 10-4). The Arizona Department of Health Services found that these concentrations did not exceed EPA's target risk range and are qualitatively characterized as very low. 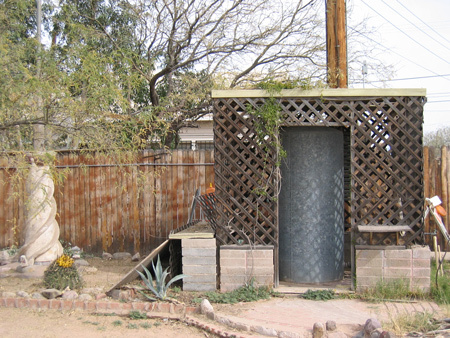 One well owner decided to disconnect their well and is receiving water from City of Tucson, Tucson Water. PDEQ plans to sample the remaining six monitor wells in the future. The U.S. EPA’s Technical Assistance Services for Communities (TASC) program conducted this Technical Assistance Needs Assessment (TANA) for the community near the Tucson International Airport Area (TIAA) Superfund site. Its purpose is to better understand the current technical assistance needs of the TIAA site community related to the cleanup of the TIAA Superfund site.